Posted on Thursday, November 2nd, 2017 at 1:49 pm. 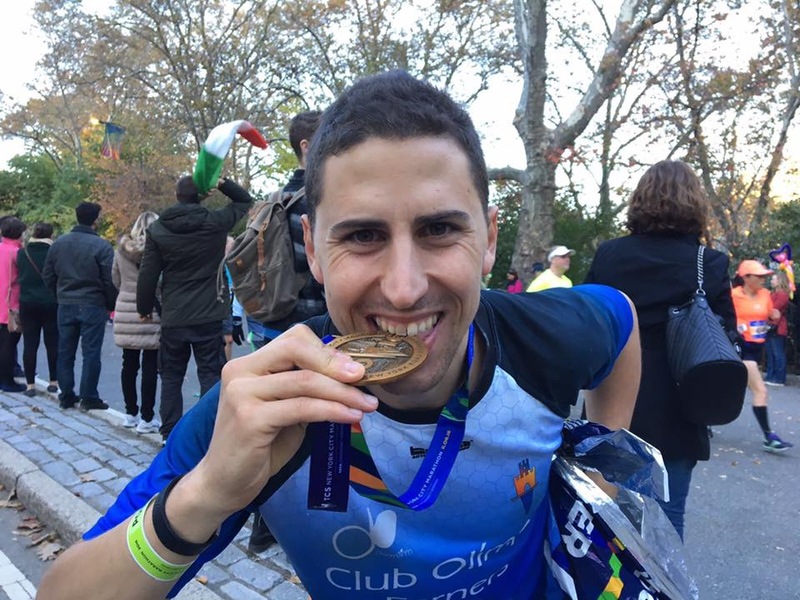 More than 1,400 participants who are in the United States on the J-1 Exchange Visitor Program– including students, interns, au pairs, and research scholars – are volunteering at the TCS New York City Marathon on November 5, 2017, the world’s largest marathon. The exchange visitors will comprise more than 14 percent of the total volunteers at the marathon. They will stand alongside U.S. volunteers at miles 5 and 6 in Brooklyn and mile 18 in Harlem. As they provide water and moral support to nearly 50,000 runners from more than 135 countries, they will experience firsthand the American values of volunteerism and civic engagement. 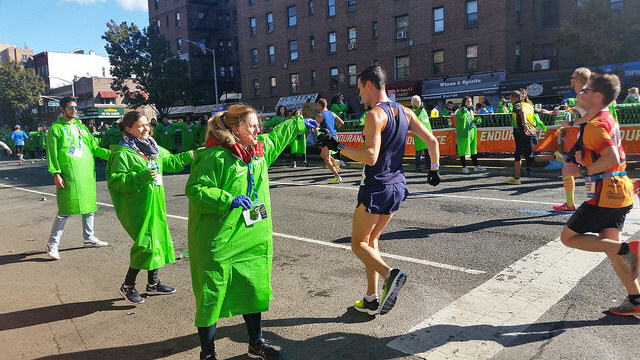 The strong J-1 volunteer presence at the TCS New York City Marathon highlights the benefits that American citizens receive from State Department programs. International participants make concrete contributions to communities across the United States as they come together to volunteer in local organizations, reinforcing the bonds that make America strong. Several J-1 exchange visitors will also be running the marathon, including five au pair/host parent teams. Caroline, an au pair from Brazil, marveled at the determination of the marathon runners: “It is fascinating how [they] keep going and do not give up,” she remarked after volunteering for the marathon in 2015. 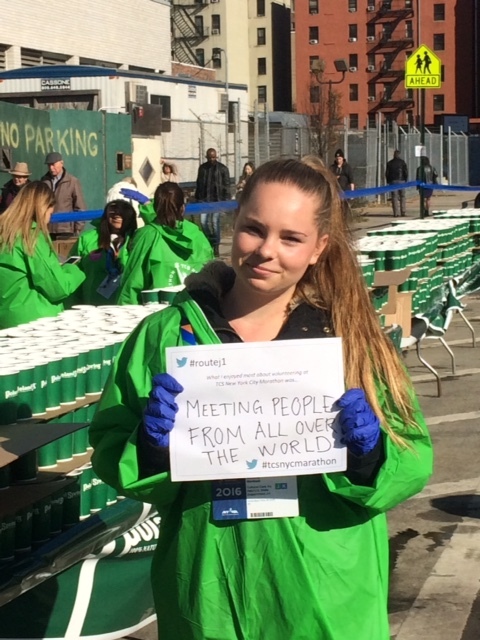 Amalia tells us what she enjoyed most about volunteering at the NYC Marathon. “I learned that volunteering is a great experience and also a great responsibility. It is a wonderful way to meet new people while helping others,” said Amalia Nordaas, a J-1 intern from Sweden. The State Department’s Bureau of Educational and Cultural Affairs, the New York Road Runners, and more than 60 U.S.-designated sponsor organizations that administer the Exchange Visitor Program are coordinating this volunteer effort. You can cheer on the J-1 volunteers and follow their updates on social media using hashtag #RouteJ1.